Signs are hot. You see them everywhere, from farmhouse style to the most contemporary home. 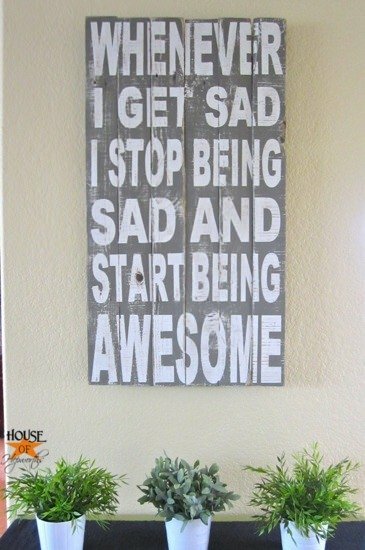 Signs are one of the oldest forms of public art, and they can bring wonder, whimsy, or nostalgia to home decor. 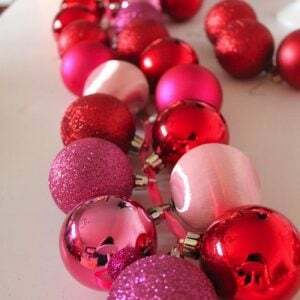 And, they are easy to DIY on a budget! 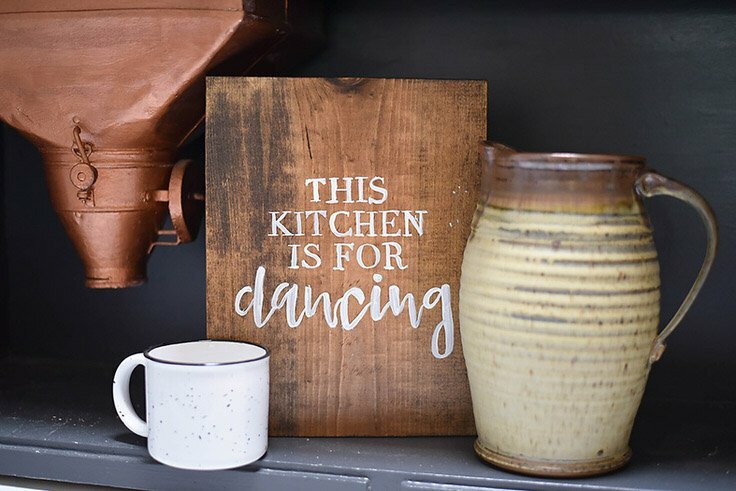 DIY painted sign projects takes the written word, one of the cheapest decorating tools (paint) and a touch of creative elbow grease to make easy, meaningful and fun home decorating art! ‘Christina’s Adventures’ has a full tutorial for you on how to make a painted wood sign. We love this because it’s such a simple design, but looks amazing. 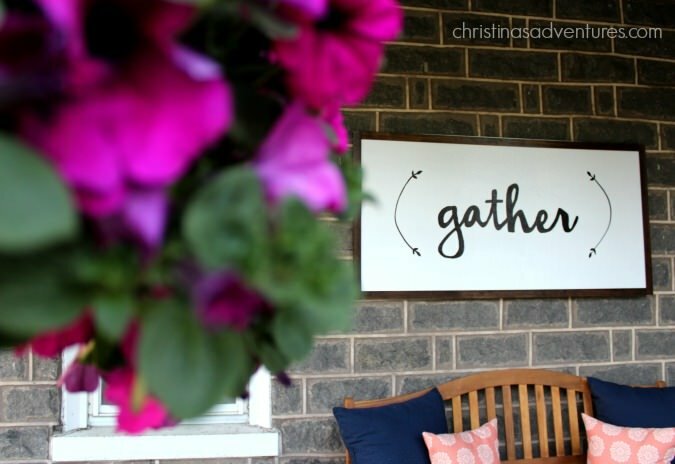 She used this out on her porch, but a painted sign like this would be perfect in a dining room too! 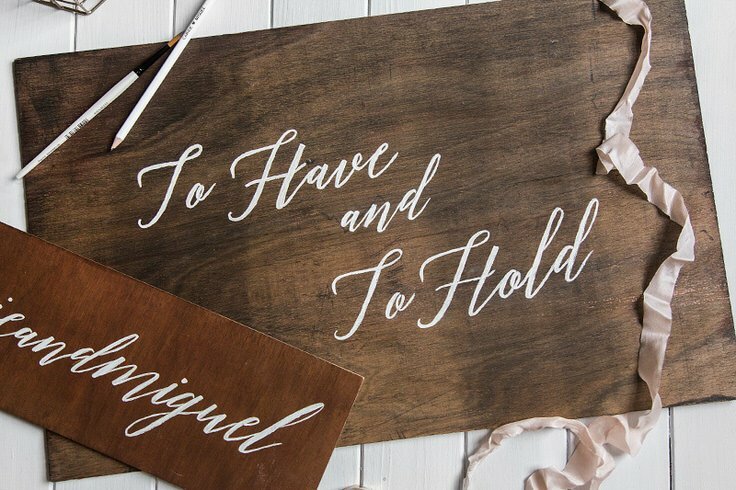 ‘Angela Marie Made’ shows us how to easily transfer a design to wood. 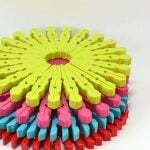 Using just a printer and your choice of design (tons to be found on the net!) you can make a sign like this one! Lots of step by step photos. This is a four step painted sign project from Carrie at ‘Wish Wish Wish‘. 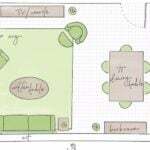 You can trace this from any printed design. Liz at ‘Love Grows Wild’ made this DIY vintage sign for her dining room. Her tutorial is easy to follow, and this looks like a $250 sign I saw recently at our local home decor shop! From ‘2 Bees in a Pod’, make this DIY hand painted sign, the easy way! All you need is a piece of chalk, some paint, and some wood. Voila! 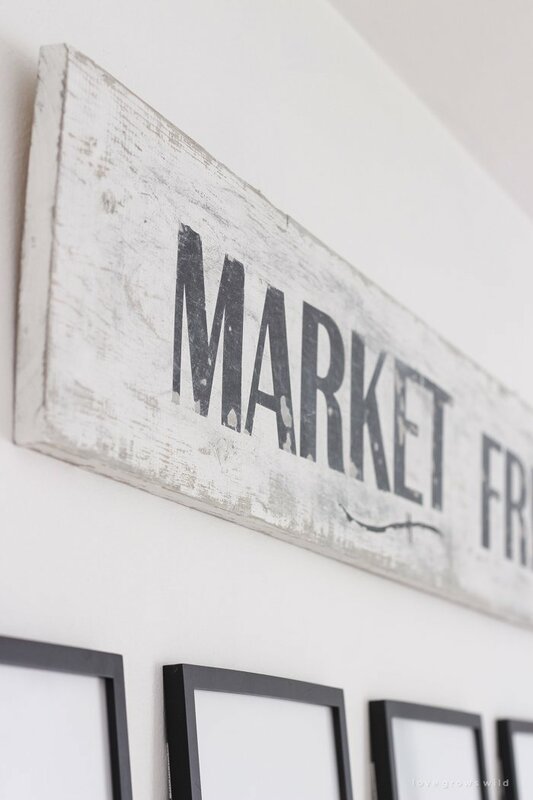 If you want a little character in your painted sign project, then try these DIY driftwood signs from ‘Crafts by Amanda‘. Love the coastal charm! 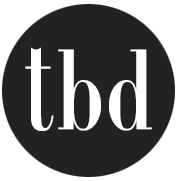 Easy, fast project that anyone can do. Not all DIY painted sign projects have to be on wood. 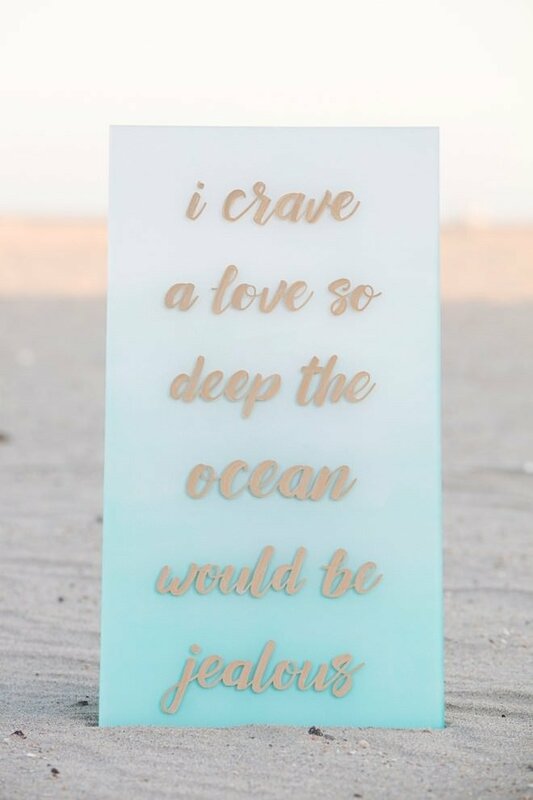 Try these amazing hand lettered acrylic signs from ‘Something Turquoise‘! They used chalk paint markers so that you could change up the signs at a whim or for a special occasion. 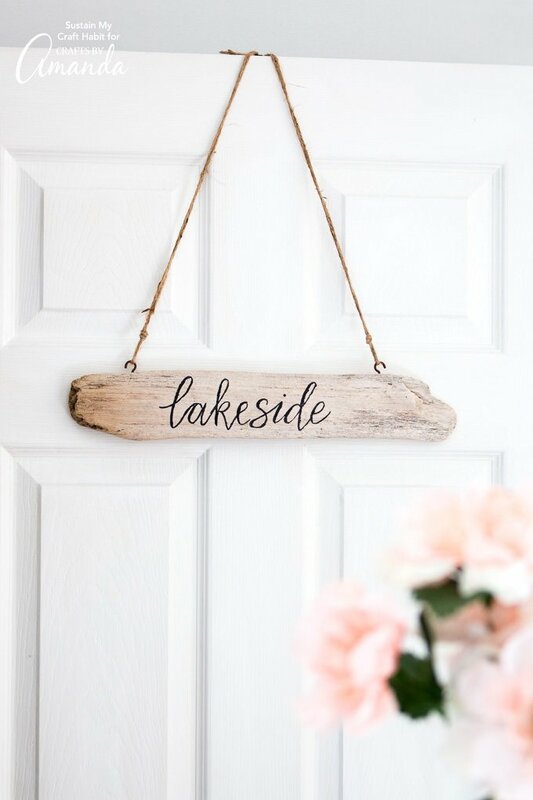 (Perfect for a DIY wedding sign!) You could use regular paint markers if you wanted it to be more permanent. 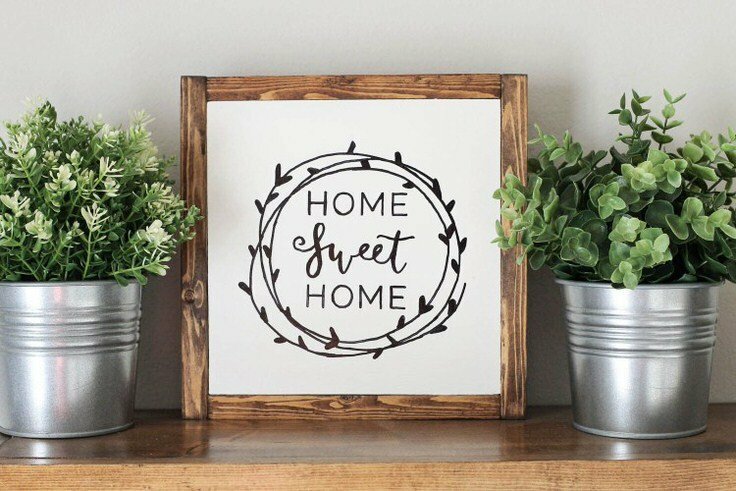 ‘Our Handmade Life’ not only shows you how to paint a wood sign, they give you a free printable for it! The next DIY painted sign project is from Little Blue Boo. 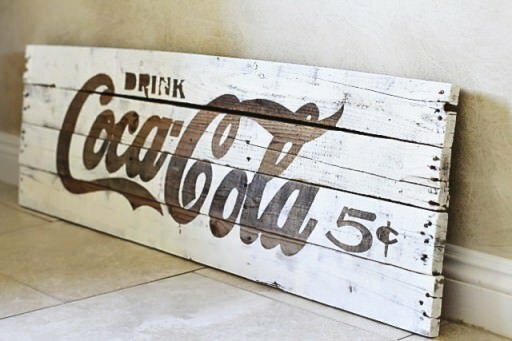 We love this DIY pallet Coke sign because Coke replica items at craft stores go for more than $50! Follow her step by step instructions and photos. This project was made from a pallet! From House of Hepworth’s, this typography art is very cool, and she made it with zero bucks, folks. I love how her tutorial talks about what worked, AND what didn’t! 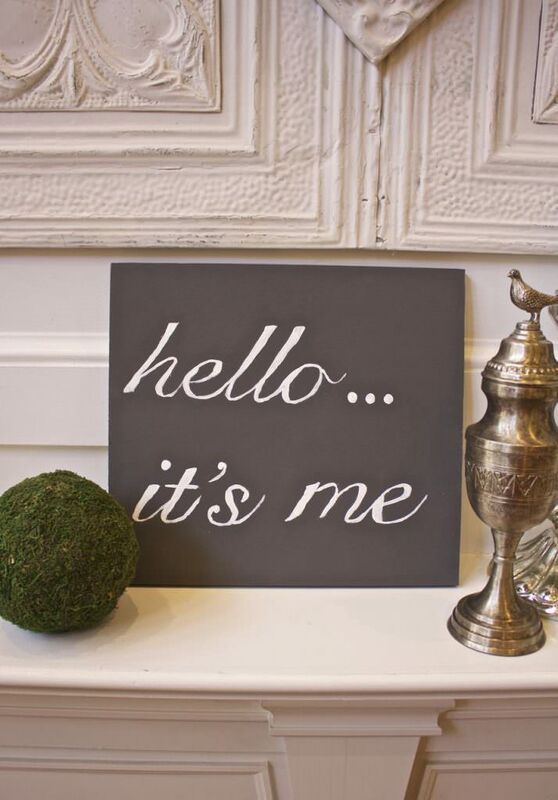 They so loved that project they created, they did a new one… a You and Me sign! Not only would this be a cool decor time for any couple, how about a unique handmade wedding or engagement present? ‘Denise on a Whim’ has created a project perfect for any laundry space… I think this is so whimsical! 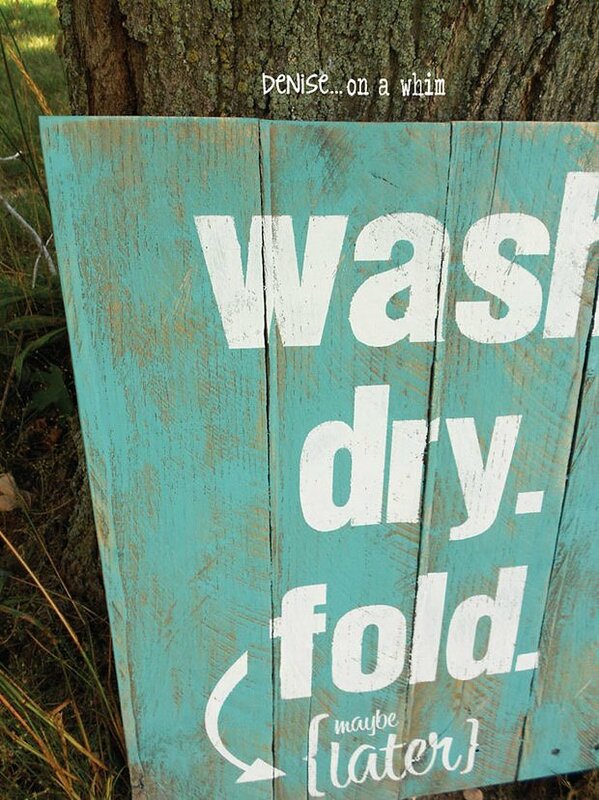 Her laundry room pallet sign has simple instructions and a printable template. 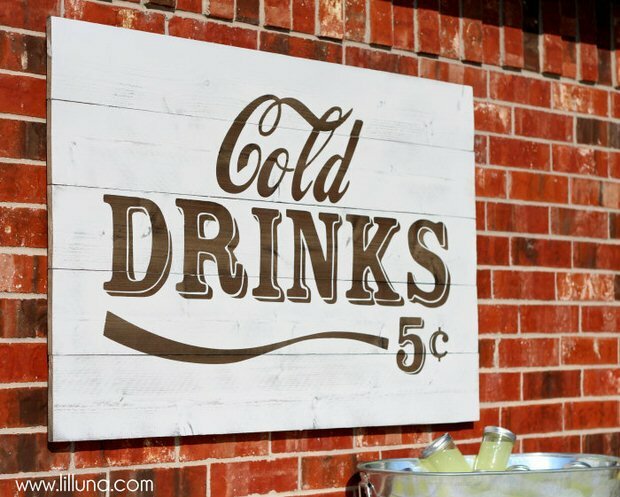 From Lil’ Luna, this vintage cold drinks sign is another Coca Cola replica that really makes sense for all us budget decorators… besides, who doesn’t feel “summer” when they see a sign like this! 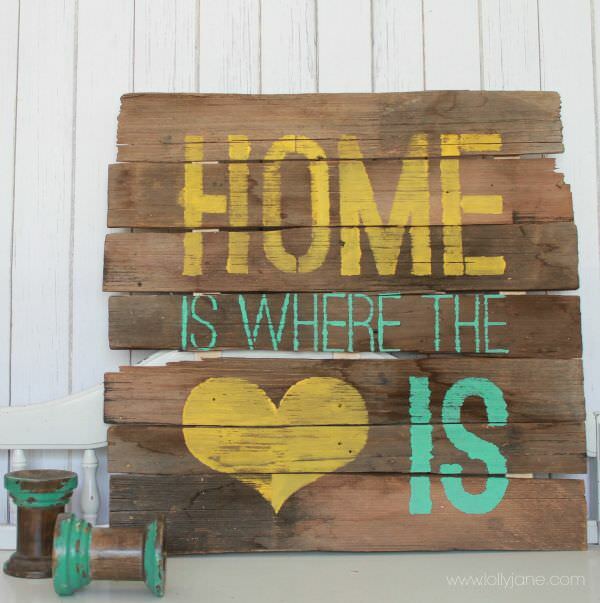 Home is Where the Heart Is…this DIY sign by ‘Lolly Jane’ is made with old house shingles… The shingles from her childhood home! We all need that kind of history in our homes… Full tutorial! 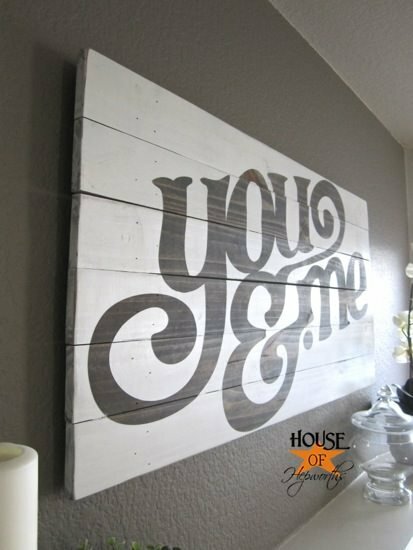 Create your own DIY painted sign projects for your home, and express yourself and your family in a one of kind personal art piece! 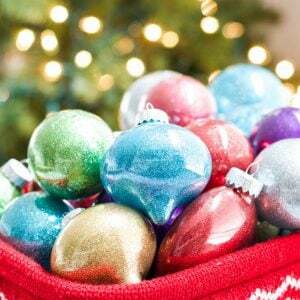 And when you are done with that, jump on over to our posts on 13 creative projects with old windows or DIY rustic decorating ideas! Hi Denise! Love your laundry room sign… If I even find 10 minutes, that would look great in my laundry room, and you make it look easy! Thanks for stopping by! Hi Lisa! In our area, almost every business will let you have them for the asking… also check Craigslist! I love, love, love the laundry sign! What are the length of the boards used for it? The approximate finished size? Hi Barb! 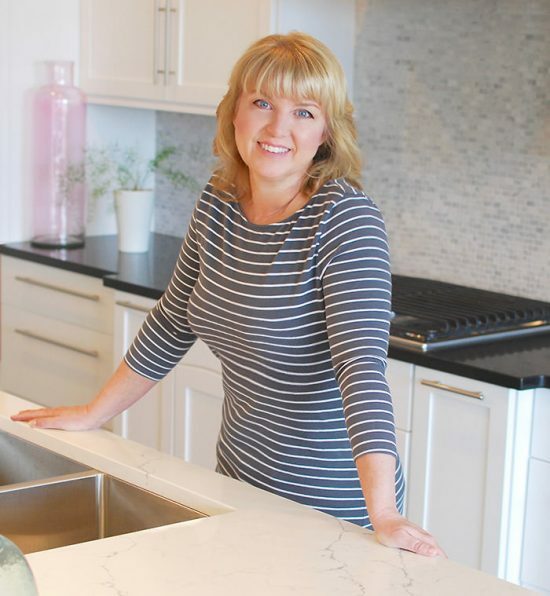 That project was by Denise at ‘Denise on a Whim’ and her contact link is there with her project… I’m sure she would be glad to help with your question!